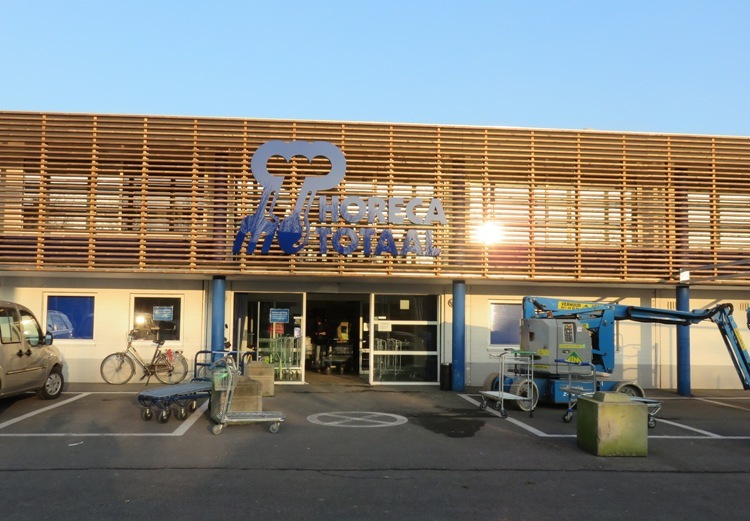 Shop review #13 – I have visited Horeca Totaal a couple of times. It’s a very large shop aimed at food professionals at the edge of Bruges (just around the corner from organic supermarket Bioplanet). There’s also a Horeca Totaal shop in Ostend. In one of my previous blogposts you can see the tea box that I have bought at Horeca Totaal. 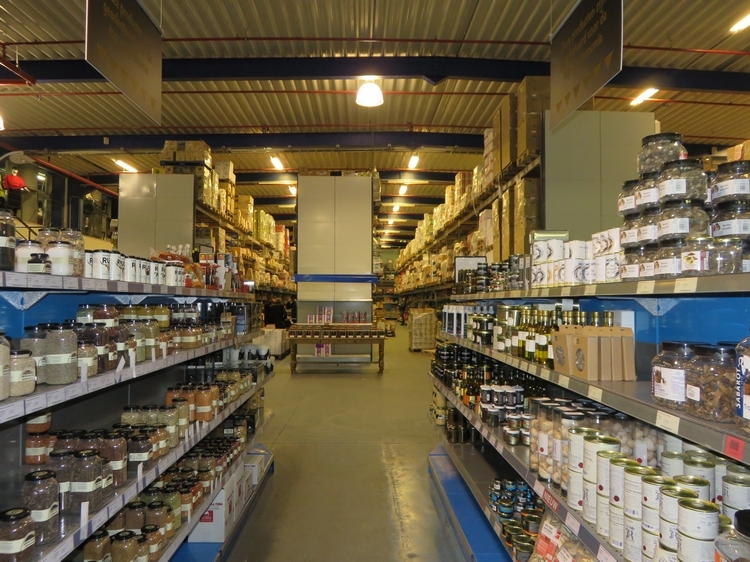 Chefs and other food professionals come to get their supplies at Horeca Totaal, but even if you are not professionally engaged in catering bussiness, you can also shop here. When I go to Horeca Totaal, I am still overwhelmed by the place. It is huge! I have too many photos to put them all in one post, so there will be a sequel to this post, focusing more on interesting products for vegans in Horeca Totaal. A look inside shop Horeca Totaal Bruges. It’s HUGE! – To be clear, it is NOT a vegan shop, and it also has a large butchery and fish section (photos are at the bottom of this post). These are in a seperate – fridge like chambers – of the shop, so you don’t have to walk through them if you don’t want to. – I saw a lot of premade food items. Premade soup and sauces, premade decorations for desserts, ice creams, sorbets, frozen vegetables and fruits, syrups, appetizers, snacks, … Which makes you wonder how much (or how little) chefs actually prepare themselves. Although I had no illussions on that matter, it was still an eye opener. But more about those products in a next blogpost. 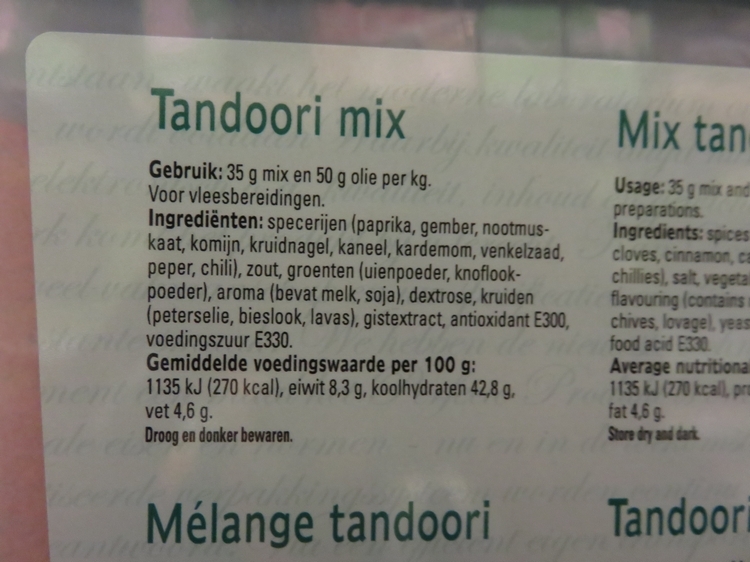 – I was surprised to find animal ingredients even in a Tandoori Mix, commonly used in Eastern restaurants. 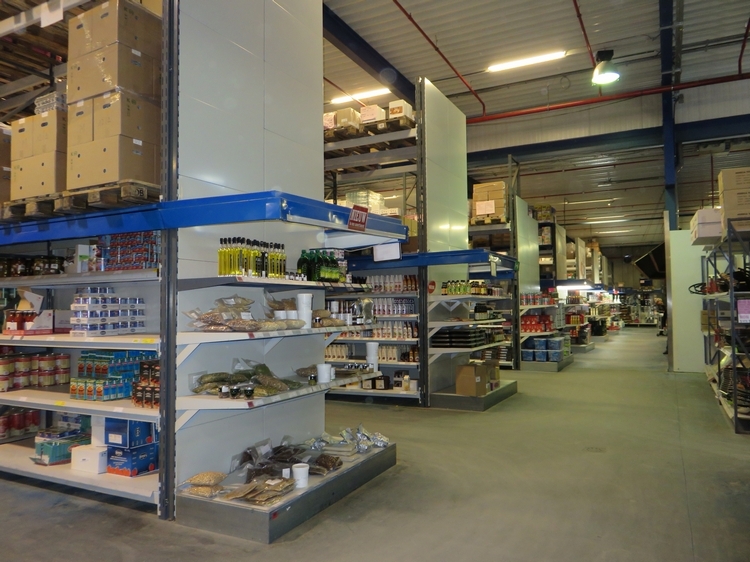 – A lot of the items come in bulk packages: soup in 10L, herbs by the kilo or more, cans of olives of 20L. So unless you have a large family or a huge appetite, those are not so handy for household use. There are ‘regular’ sized items available also though. – I hardly saw any organic labelled products. Which is maybe not that remarkable as there are not that many restaurants which specifically say to use organic products. 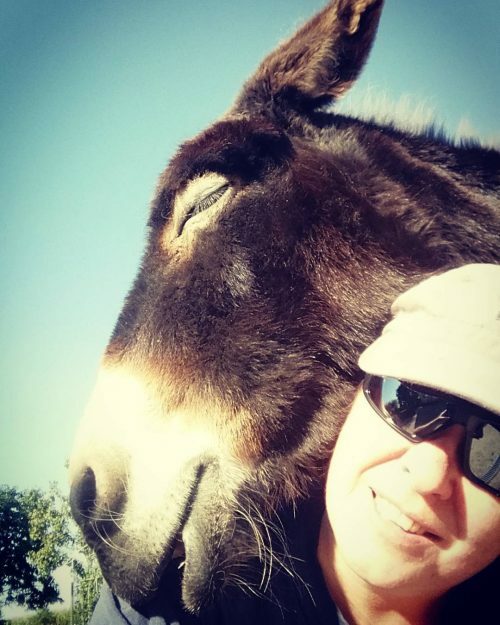 An those that do, probably buy their products in other shops or directly from organic farms. – Horeca Totaal not only sells food items, but all other sorts of products for food professionals: clothes, dishes, pots and pans, glasses, chalk boards to show the restaurant menu, cleaning products, packages for fast food, … . About anything you see in a restaurant. Here are some more photos from Horeca Totaal. All in all, a very interesting – although also sobering – experience. There are some interesting items for vegans available at Horeca Totaal (more on those in a next blogpost), but it is obvious that in the world of professional catering, veganism is still a very marginal affair. I have always found it off-putting that those who run ‘organic’ shops like that feel the ‘need’ to sell meat.